Once again I have succumbed to another gadget. This gadget however is educational as well as entertaining. Sounds like a good sell doesn’t it? All kidding aside, sharing information on how gadgets enhance our lives is one of the things this blog site is about. As you know, most of the fun of having a new gadget happens when learning new shortcuts and tips. Especially, when they are from friends who have the same gadget. So, here are a few tips and shortcuts we’ve learned along the way using the Kindle (original $79.00 version) that we thought would be nice to share with you. 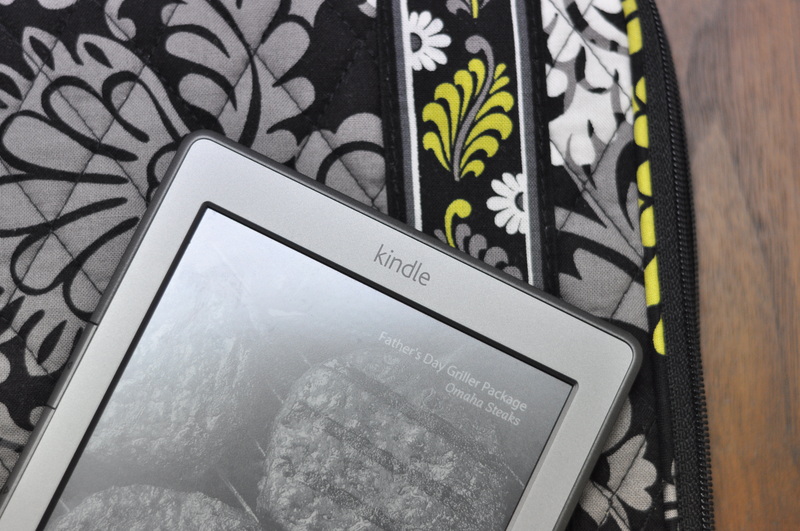 First things first….to really experience the WOW factor of your Kindle you will need a home Wi-Fi connection. If you do not have a home Wi-Fi system in place we recommend contacting Brazos Internet at 940.564.5659. They sell Wi-Fi routers with plug and play cd’s that walk you through the install, which is very easy. Once your Wi-Fi is in place, accessing your Wi-Fi network via your Kindle is pretty straight forward. Simply press the “Menu” button to begin. Your Kindle will list the Wi-Fi networks in your area. Select your network and follow the prompts, entering username and password. When your connection is established you will see the word Wi-Fi and the Wi-Fi icon located at the top right hand corner of your e-reader. Now let the wowing begin. Press the “Menu” button to start shopping at Amazon.com and downloading your favorite books or the latest releases you’ve been waiting to read. 1-Loaning Books – Sharing books with another Kindle user is so much fun and it’s easy. First you will need to log in to your Amazon.com account via your PC. Once there click on the Hello, Whomever Account tab. A drop down box will appear with several options, select “Manage Your Kindle”. The next page will show your Kindle library. Find the book you would like to share and click on the Actions tab. Several options will appear: Deliver to my…., Download & Transfer via USB…, Clear Furthest Page Read…, Delete from Library and Loan this Title. Select Loan this Title and the next page you see will ask for lending details such as the recipient’s email address, name and any personal message you would like to add. Note: Most publishers have set lending terms that allow books to be loaned once and only for 14 days. Not all books are available for loan. It pays to check before purchasing any book making sure it is lendable. Check back often on non-lendable books since some publishers may change the lending terms. Once you hit the Send Now button it starts the loan process and Amazon will send an email to the recipient. If the book or loan is not accepted in 7 days, it will automatically be returned to you. Also, you will not be able to read the book once it is loaned. Your Kindle marks the book as loaned and it will unmark it when the loan is completed (14 days). You can only loan one book at a time. 2- Bookmarking – Using the five way controller button place the cursor where you want to leave your bookmark and press the Home key. Scroll down until you see “Add Bookmark” and select it. Now, your place on the page is marked. 3-Add Notes or Comments – Again using the controller place the cursor next to the text where you would like to make a note and press the controller. Highlight “Create Note” and type your note using the keypad button and then select Save Note at the bottom of the page. To view or edit your notes select the Notes number and press the controller key to edit. The really cool thing about Notes …if you delete the book where you made the notes, your Kindle saves them. You can go back to your notes by choosing the My Clippings on the home page. 4- Adjust the font size – I love this one, since it lets me read without my cheaters (you know the strong little reading glasses). To change the font size, press the Menu key and highlight “ Change Font Size”. Find the size you want and press the menu key again. There are 8 different font sizes and 3 font styles to choose from. 5- Download a Sample– Amazon allows you to download a sample of books before purchase. This is particularly nice when you are not sure if the book is for you. I have also noticed the sample’s never go away and are part of your library. Here are a few of the nice features of the Kindle. 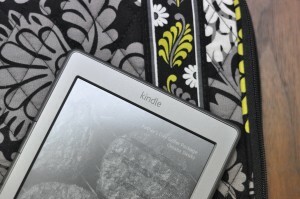 1-Battery Life – Your Kindle has about two weeks of battery life. Without heavy use mine has lasted longer. 2-Synchronize Last Page – Your Kindle automatically synchronizes the last page read. If it’s been a week or a month since you last read your book, you will always be taken to where you left off. 3-Read on Multiple Devices – I love the fact that I can buy it on my Kindle and read it on my iPhone, iPad, Laptop or PC. When reading your book on any of these devices it will ask to synchronize them as well. 4-No Glare – The best part about using my Kindle is that I can read sitting by the pool. There is no glare on the screen, it is like reading a page in a real book, and it’s lightweight. Another plus is being able to read and download new books while outside….thanks to my home Wi-Fi network made possible because of my internet connection with Brazos. To learn more about your Kindle visit www.amazon.com. To find out more about high-speed internet available at Brazos please visit www.brazosnet.com or call 1.800.687.3222 today.